Blues is My Middle Name: "Where am I to go?" Walking through the centre of Nottingham today, I came across a man sleeping on the step of the Central Library in Angel Row. He was surrounded by his worldly wealth; a ruck sack and two plastic carrier bags. I'd witnessed a similar scene a thousand times over the years - the sign of homelessness. Returning to Angel Row later in the day to catch my bus, the man was still there, as were two policemen. They were telling the man to move on, as is the policy in the city centre. As I was passing, I could just make out the man's words in an east European accent, "But where am I to go?" This was not an unreasonable question, but I didn't hear the reply. I haven't researched recent homelessness figures for Nottingham, as they are notoriously difficult to accurately quantify. Local authorities tend to just give those that they have a duty to accept, and Charities can be a bit hit and miss with their figures. Even the very good ones only tend to produce figures annually, and even then you're not sure of "double counting", as clients tend to use more than one agency. Anecdotal, or evidence of the eye may not be terribly scientific, but it does give a picture. As I wander about the city, it does seem to me that the problem is getting greater, particularly among migrants from countries that joined the European Union in 2004, but not just them. If my experience is anything to go by, begging is also on the increase. I've had more people approach me for money in the last month, than in the previous six months. What intrigues me about this is that mostly I get asked for 29p. Why 29p? My observations do seem to be backed up by one of the leading homelessness charities in the Midlands, Framework, who broaden out the problem to include more than I see. In a BBC Radio Nottingham interview about a month ago, Framework's Service Director for Homeless Services said, "We are seeing more people who are victims of the broader economic downturn - people who are struggling to pay their mortgage or challenged by rising rent levels. Economic pressures mean that more people are making contact who previously would have had nothing to do with homelessness services. While a growing number of people are in need of support, funding cuts approaching 50% have reduced our ability to respond". In a blog item on the charities web site, Chris Senior said, following up on the previous comment, "At the same time, Framework's Street Outreach team in Nottingham reports that the most frequently asked question these days is, 'Where is it safe to sleep rough?'" The City and County Council's draconian cuts to the Supporting People budget earlier this year, resulted in day centres closing, and hostel places being decimated, along with the reduction in support services. So the question as to where are homeless people to go, is a good one. It's no good pretending that the problem is just about 'foreigners', as it's not; local people who have lived all, or most of their lives here are being affected. But even if it was just a migrant problem, and they should just go home, that cannot happen any more under European Commission legislation. You see, in the EU, there are no foreigners, we are all Europeans. The UK has traditionally had a "Right to Reside Test" before people could receive benefits, but the EU has declared this to be discriminatory, see here, and has 'requested' the UK to pay welfare to all EU nationals, which according to Zach Johnstone could cost the country up to £2.5 billion. As he says, "So much for the Coalition's welfare reforms". I'll have a rant about Europe another time. There are signs that not only is homelessness on the rise, but that it will get worse if not addressed. There are at least two areas that indicate a greater problem in the making. One is the level of wages earned by so many workers. 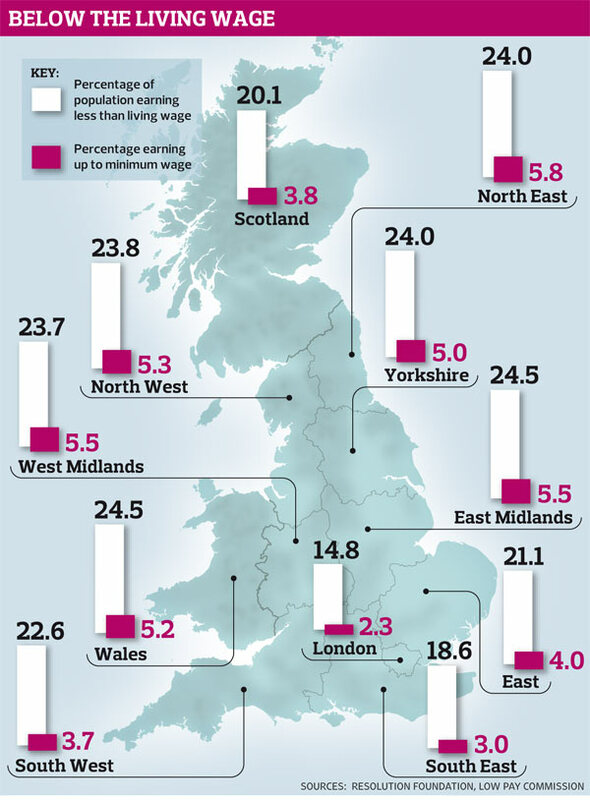 New research has shown that more than 20% of British employees are earning less than a living wage. We're talking about low pay here. Every year on the 1st October, the minimum wage is increased. Yesterday it went up from £5.98 to £6.08 per hour. That's a massive (yes I'm being sarcastic) increase of 10p per hour. So for a 40 hour week, the wage is increased by £4 before deductions. This is easily eaten up by the rise in prices. The Resolution Foundation has produced a report that shows that as many as 5 million people higher up the scale are barely earning enough to make ends meet. In their estimation, this is earning less than a "living wage", as opposed to the minimum wage. How much is a living wage? The Centre for Research in Social Policy at Loughborough University, reputed to be the authority on the subject, calculates that outside of London, a living wage should be at least £7.20 per hour. For a 40 hour week this is still only £14,976 per annum, before deductions ; about £7,000 below what is supposed to be the average wage in the UK. Look at the chart above for your area. If I take the East Midlands, the white column shows the percentage of the population earning less than a living wage (24.5%), and the purple column shows the percentage earning up to the minimum wage (5.5%). Using official earnings figures, The Resolution Foundation found that in some parts of the country, almost a quarter of the workforce are taking home less than the living wage. 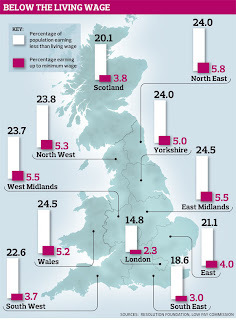 In sales, 60% of workers earn less than the living wage, and 33% of hairdresser's and childminders. This, says Resolution's Chief Executive, Gavin Kelly, "Brings to life just how pervasive low pay is in modern Britain". To raise this matter in the past has often left you open to the charge of being Marxist; now it it being pointed out by respectable and responsible 'Thinktanks', and we need to take notice. It is a cancer that needs treatment; people cannot live with rising prices and falling levels of income in real terms. The top 10% of earners have seen their income double in real terms over the last thirty years, while the bottom 10% saw an increase of just 27%. Andy Hill of the Institute for Public Policy Research says, "The argument that no one should do a days work for less than a wage they can live on is a hard one to disagree with". Another area that should highlight the problem now, and the potential for greater problems in the future is that of food handouts. This may come as a surprise to some. It is estimated that three million tonnes of food is being wasted by the major supermarkets every year in Britain, and ends up on waste fill sites, at enormous cost. As one who negotiated with a local Marks and Spencer store on the south coast to take unwanted food, rather than have it thrown away, I understand this issue. 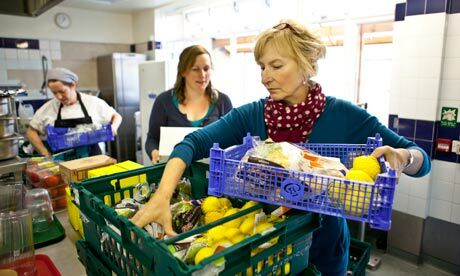 In the Guardian yesterday, Jay Rayner highlighted the work of food charity FareShare. Lindsay Boswell, Chief Executive of FareShare said, "As a charity we started out purely interested in liberating waste. We are an environmental charity that gets bloody angry about food being thrown away. However, we're clear that it is the alleviation of poverty which now leads what we do". FareShare gets hold of about 1% of the three million tonnes of waste food mentioned. They distribute food to social care charities, and have in the last year seen a 20% rise in the number of people it is feeding - from 29,500 a year to 35,000. It operates from about 17 sites across the UK, and in the last year, the number of charities that have signed up to receive food from them has risen from 600 to 700. Over 40% of those charities are recording increases in demand for their feeding services of up to 50%. This is the reality in 21st Century Britain, as Lindsay Boswell says, "People in our communities are going to bed hungry because they can't afford to feed themselves. This is a huge problem and it's right here, in our neighbourhoods, on our streets. This is outrageous enough before you factor in the thousands of tonnes of good food thrown away each year. It's illogical and frankly immoral that these problems coexist". Another organisation working in the same field is the Trussell Trust, based in Salisbury, but with over 100 food banks across the country. They have seen the number of people it is feeding rise from 41,000 to 61,500. The Trussell Trust manager, Jeremy Ravn says, "We're seeing a big increase in what you would call, for want of a better phrase, normal working people, those who have lost their jobs or seen their own businesses go under. The big problem is that the welfare state is not reacting fast enough to need". The message from these charities, and many more like them, is that it can happen to anyone. Where once it was single homeless and the chronically destitute, now it's increasingly families and working people who have fallen on hard times. There is a short step from needing a food handout, to being homeless. As the Simon Community said many years ago, "Most of us are only three pay-checks away from homelessness". I don't enjoy being a doom-monger; I'd much prefer to rejoice in the fact that all of us have a good standard of living, but this is clearly not the case. Only the Government can make a difference. The Lib Dem and Labour Party conferences failed miserably to address these matters; let's hope that this week at the Conservative Party Conference in Manchester, when the Government's deficit reduction programme is being scrutinised, that voices will be raised to draw attention to the iniquities of low pay, food handouts and homelessness. Am I being too cynical if I question whether enough people in the top 10% of earners will worry sufficiently about the plight of the rest? Something can and must be done. I support the UK playing its part in helping to deal with social and humanitarian problems in other parts of the world, even if at times I question how that support is given. The International Development Secretary, Andrew Mitchell, was positively glowing in May this year when he published his action plans to fight world poverty. Two things to note; the UK is part of the world, and, it has poverty. I can hear the red herrings being thrown in my direction already. "Our poverty is nothing like that of many other countries". This is mostly said by people who are not in poverty. Like I said, 'Red Herring'; it's all relative. 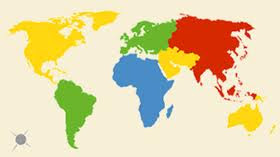 The Department for International Development has a budget of £7.8 billion a year; why can't a part of that be given up to address the growing problem of domestic poverty? If I had all of the answers I'd be in politics. All I know is that answers had better be forthcoming, or I sense a move away from the normally British phlegmatic view of Government.